Over the many years that I have been practicing Reiki & Seichem I have been asked on various occasions whether having a Reiki treatment would be beneficial during pregnancy, so I thought I would put a few words together so you can decide for yourself. Pregnancy can and does take its toll on the female body, the change in body shape, fluctuations in emotions, increases and decreases in hormones and general tiredness to name just a few. Women are now realising that the whole process does not need to be as uncomfortable as we are lead to believe it can be. Under these circumstances a Reiki treatment can have many benefits for both mother and her growing baby. For those of you who have never tried a session before, I can only emphasise how safe and natural this holistic method of relaxation can be for you. This is a wonderful way to spend an hour of your time that will help bring your energy levels back into balance and improve your overall sense of well-being as Reiki is known to only work for the good of the person. Reiki can be received as often as well as at any time during pregnancy as it is a very calming and de-stressing therapy and is particularly beneficial during the first trimester of pregnancy when the body is preparing itself for the changes to come. During the latter stages the Reiki energies can be given whilst you are sitting in a comfortable chair rather than laid down. It is absolutely fine to fall asleep during the treatment, you will still receive the full benefits. 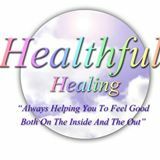 The main aim of the treatment is to re-balance and rejuvenate you and sometimes I may be asked out of concern for the unborn child, which is totally understandable, will my baby also receive the reiki? I will be honest and say I do not know for certain. But, on one occasion a lady was getting concerned as her baby was beginning to slow down and not move as often as she would like so she asked the question will my baby share in this experience and also feel refreshed afterwards. So, we carried out an hours treatment and within 24 hours she had contacted me to say, “Oh no what have you done!!! It is like I have a little kick boxer in there now”. So we can only assume that your baby will share the experience with you, but be careful what you wish for if you don’t want to be prodded and poked from the inside out as this poor lady felt. There is a lot of information on the internet and in books about Reiki and how beneficial it can be during pregnancy so below I have listed only a few of the main points as there are far too many to include in this short write-up. Should you find that you truly enjoy a Reiki treatment there is no reason why you and, or, your partner could not be attuned to carry out Reiki treatments on yourself and your unborn child. Please feel free to contact me if you have any questions or would like any further information.